Why Are Traders Classifying as Professionals? From the 1st of August 2018, Forex, CFD and Spread Betting providers in the UK, Cyprus and the rest of Europe were forced to drastically cut back the amount of leverage they could offer to retail traders. The new rule is not imposed on anyone who elects themselves as a professional trader. This is due to new rules from ESMA (European Securities and Markets Authority). These new rules are expected to trigger a chain of events that will change the shape of the online trading industry across the world. This new rule means that brokers in the EU who were giving many of their client’s leverage of 1:500 then had to overnight completely change what they were offering and cut the amount of leverage all the way down to 1:30. For many traders, this is a complete game changer. Leverage is important to a lot of trading strategies. This change has caused a lot of traders had to go back to the drawing board or look for other options. One of those options (among others identified in this article: Leverage Restrictions: How to Keep High Leverage on cTrader?) is to classify yourself as a professional trader. But what does it really mean to classify as a professional trader and more importantly, what problems does it solve? Let’s look at the pros and cons of this option. The first and most relevant benefit of classifying as a professional trader is the ability to maintain high leverage from your broker. Doing this will allow you to continue trading with your existing broker. Therefore you will not need to move your account to another jurisdiction where your broker operates or have to find a new offshore broker that is not required to enforce rules from ESMA as well as a lot of other standards and assurances that regulators in Europe enforce. Now we know that the problem of reduced leverage can be solved. The next step is to look at the downsides of classifying as a professional trader. One of them beging that you may not even be able to meet the eligability criteria. As a professional client your broker is not required to segregate your funds from their own funds, which means they could hypothetically deposit them to liquidity providers and if those liquidity providers go out of business, your funds could be lost. However, many brokers have chosen to continue to segregate their client’s funds from their own. You also lose your right to negative balance protection. This means there is a possibility that you will lose more than your initial deposit. You lose your right to best execution policy according to its definition from the FCA or a similar competent authority which regulates your broker. Best execution policies for retail traders require their brokers to give priority to executing their order with the best possible price. This factor prevails other considerations like execution speed, size of your order, current market depth etc. which all play a part in the quality and outcome of your order. Your broker is no longer required to disclose risks to you, meaning you may be unaware if the products you trade become on average riskier. Also, your broker can communicate with you in a very different tone and make assumptions about what you already know about the products you are trading. This could result in you investing without the important information needed to make calculated decisions. Most competent authorities (financial regulators) in Europe offer some type of scheme to compensate investors in the event that their broker goes out of business. However, that privilege is not necessarily extended to professional traders. The FCA offers the Financial Services Compensation Scheme and that is only available if you are a natural person (i.e. not a company). The CySEC offers the Investor Compensation Fund and that is only available to retail traders. Unfortunately, this means you will completely waive your right to make a claim. You should absolutely check your broker’s terms and conditions or ask them directly for a definitive answer on this topic. It’s important to know for sure, what your protections are as a professional trader before making a decision. Especially because as shown above, different rules are in play in different jurisdictions. In order to qualify and apply as an elective professional trader, you need to meet some criteria. The criteria has been set by ESMA. According to them, if you have the following attributes, you may sign up as a professional trader. Considering not everyone who trades and invests in Forex, CFDs and Spread Betting works or has worked in the financial services industry, the third requirement might be tough to meet. Whereas the majority of traders may also not have an investment portfolio exceeding EUR 500,000 but may have a company (small business). With their small company, they can sign up with a broker as a professional trader with an investment portfolio that does exceed that amount. This may seem like a sweet shortcut, but would you want to put the above risks on your company just to trade. There are a lot of factors to consider before going ahead, if you can and how you can proceed as an elective professional trader. 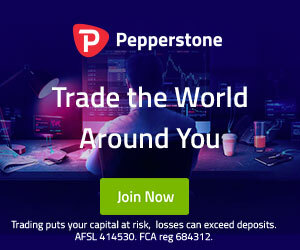 If you do decide this is the right way for you to go, it’s worth checking out Pepperstone and their FCA branch in London.